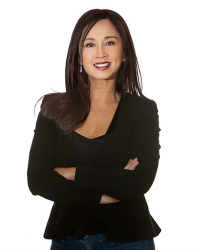 Helen H. Wang is an award-winning author, consultant, and expert on China’s middle class. Originally from China, Wang has lived in the U. S. for over twenty years. After finishing her master’s degree at Stanford University, she joined at a prestigious think tank, Institute for the Future, in Menlo Park, California, and consulted for Fortune 500 companies including Apple Computer, Oracle, and Bank of America. 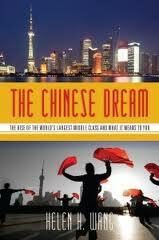 Wang’s new book The Chinese Dream: The Rise of the World’s Largest Middle Class and What It Means to You has won the 2012 Eric Hoffer Book Award and First Horizon Award. Wang has appeared on BBC World Television News, CNNMoney, been quoted by the Wall Street Journal, The Christian Science Monitor, and featured in San Jose Mercury News, China Daily, and other major media. Wang lives in Silicon Valley with her husband, her dog Frodo, and her parakeets Star and Jade. In her spare time, she enjoys yoga, dance, gardening, and travel. What does the rapidly growing Chinese middle class mean for your business? Why some companies succeeded while others failed and how to avoid their mistakes. Twenty years after Tiananmen Square: will a growing Chinese middle class push for democracy? In a mere two decades China has developed the world’s largest middle class. Helen Wang tells that story – and her own – in this wonderfully informative and readable book. The growth of China’s middle class rivals the growth of China’s overall economy as a phenomenon with huge implications for the entire world. Whether China will become a more liberal and democratic society, … whether it will develop a spiritual power to match its material influence — these and other questions are Helen Wang’s topic in this fascinating book. It rings true to what I have seen in China and suggests new possibilities. Helen Wang’s conversations, her reflections and stories, bring to life the hopes and concerns of China’s emerging middle class. An unusual book, very readable and full of insight.